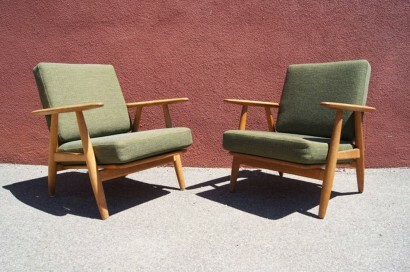 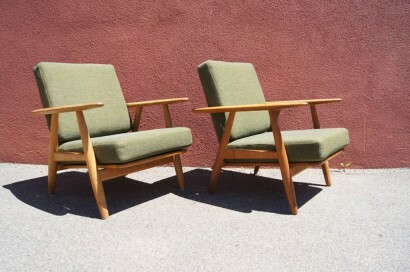 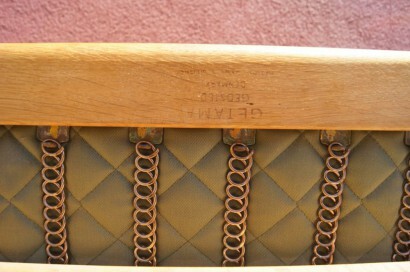 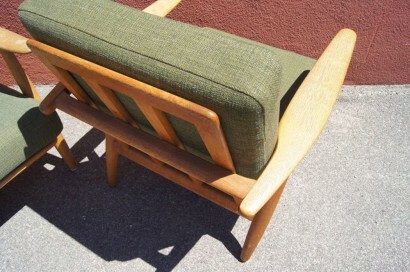 Hans Wegner designed these lounge chairs, model GE240, for GETAMA in 1955. 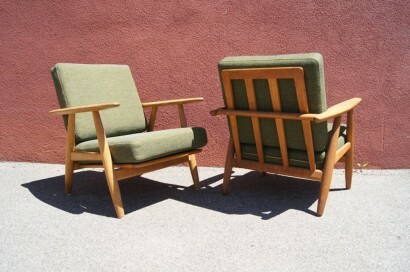 The gently curved armrests of the solid oak frame inspired its popular name: the cigar chair. 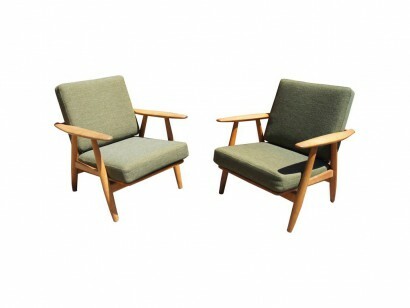 This pair features new foam cushions upholstered in a restful moss green.